in medieval times October was regarded the month of weddings; most notably, kings married in October. As a good choice of the right partner is also essential on employment and assignment contracts, we want to dedicate this October issue to recruitment. Especially since nowadays a business partnership often lasts longer than some marriages. Therefore we present to you a current video lecture about contractor recruitment and introduce you to Michael, our newly recruited team member for customer administration. Furthermore, we report on recruitment problems in the NASA astronaut corps and introduce you to a freelance specialist for assessment centers. Finally, our freelancer joke talks about a clever salesman for agricultural machines who has no problems to find new assignments. As always, I wish you a busy and successful month. Three weeks ago, Freelance-Market founder Rainer Kurz presented the topic "Freelancer in the EU (and elsewhere)". The one-hour keynote speech took place on behalf of the European Union. Besides recruitment issues, the speech also covered the history of freelance work, different meanings and definitions of the terms freelancer and contractor, international differences in taxation and legislation and the medium and long-term trends in the contracting market. To watch the video, go to https://www.freelance-market.com.au/video/Freelancer+in+the+EU. 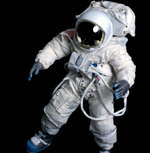 According to the National Research Council of the United States, the number of astronauts in the past 10 years has decreased from 150 to 61. The remaining astronauts would now no longer be sufficient for the continuous exchange of US crew members of the International Space Station. If the 'National Aeronautics and Space Administration' fails to increase the size of its astronaut team soon, NASA should (according to our believe) consider to rely on freelancers. In a quick poll among our professionals in engineering, we could quickly identify three contractors who would consider extending their geographical work area towards the earth orbit. Please contact us if you are willing to support NASA. We would then forward our list of candidates to the Kennedy Space Center at Cape Canaveral. Registered contractors are welcome to present their business and services via a short article in this Freelance-Market-News. In this issue we present to you contractor 424 who is listed as an HR-consultant. "I offer advice on human resource development and personnel selection. The focus of my activities lies in the organization and management of assessment centers. I also advise companies in the design and selection of assessment exercises. Often there is a lack of trained observers for HR selection procedures. Therefore I can even help your business in the role of a professional observer. As the evaluation of candidates in assessment centers is based on the observation of behavior, the exercises and role plays should be made as realistic and work place related as possible. There is a need for role players who can empathise flexibly in different roles. You can book me even as a role player." The manager of a small agricultural machinery manufacturer interviews a free sales representative: "How can you prove to me that you really are a first-class agricultural equipment vendor?" "Well", says the freelance salesman, "for example, last week, I could sell, a modern milking machine to a poor farmer with only one cow ". The manager can hardly believe that and asks how a poor farmer can finance a milking machine. - "That was very easy!" triumphs the salesman, "I took his cow as a first installment."